FRANKLIN – In a rare move, Jackson County commissioners designated a sizeable chunk of change to create new public land for people to hike, hunt and fish. The county recently worked with Mainspring Conservation Trust to allow public access to the “Wood Heirs” property, a 308 acre tract bordered on two sides by the Nantahala National Forest. The newly conserved property will bridge those two tracts into a larger mass of accessible public property. Mainspring, (formerly known as the Land Trust for the Little Tennessee) a Franklin-based regional nonprofit land trust serving six of Western North Carolina’s westernmost counties, was able to buy the property with a grant of $140,000 from the Jackson County commissioners, said Molly Phillips, Mainspring communications coordinator. The total cost of the tract was just over $550,000. The remainder was funded through private donations and Mainspring. 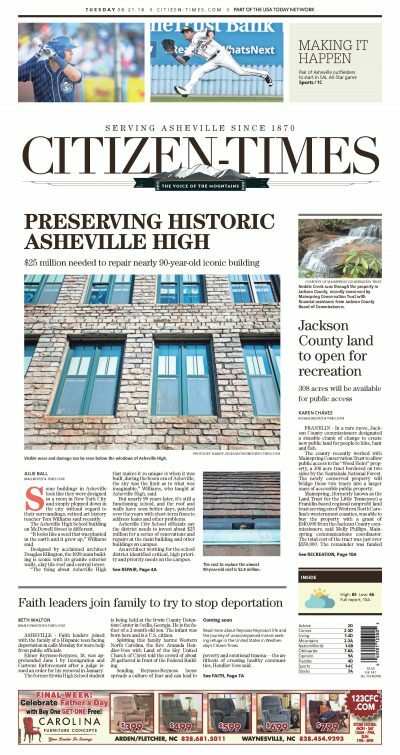 “The commissioners believe it was in the best interest of the citizens of Jackson County to have the Wood Heirs property become part of the N.C. State Game Lands,” said Brian McMahan, chairman of the Jackson County Board of Commissioners. Located in the community of Little Canada, near Sylva, the property is on Canada Road off N.C. 107 leading to Cashiers. The land originally belonged to H.B. Wood. When he died in 1931 without a will, the property was shared among his 11 children. The number of descendants grew to more than 100, leading to the name, “Wood Heirs” property. The habitat should also be a boon to the golden-winged warbler, a bird listed as a federal and state species of special concern due to declining habitat, Desmond said. The area is considered a significant natural heritage area, and has many streams, including Neddie Creek, a high-gradient stream that is considered good habitat for brook trout. The property will be enrolled in the state’s Game Lands program to be managed by the N.C. Wildlife Resources Commission, who will conduct surveys to determine what wildlife and plant life it sustains. The property should be open to the public by late fall, and fulfills Mainspring’s mission, which prioritizes land conservation to forests, farms, waters and heritage, said Sharon Taylor, Mainspring executive director.